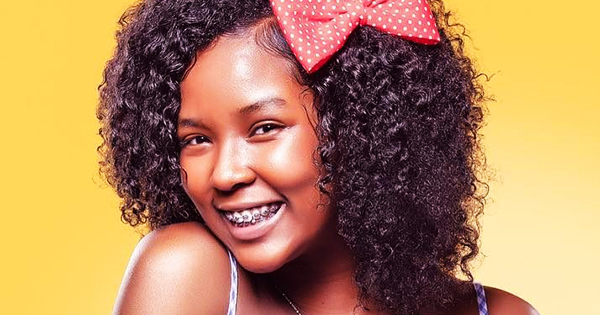 At just thirteen years old, Lexi Proctor launched her own hair care line, Curlanista, because she wanted girls to feel empowered to wear their natural curls proudly. Her brand most recently received the top honor in the Sally Beauty Cultivate Program where they won $25,000 in funding and support to help grow their business. Lexi is a beautiful girl with natural curls. But she felt otherwise when she was bullied about her hair. She even tried straightening her curls up to the point of damaging it just so the bullies would stop. Eventually, she learned how to embrace her natural hair and encouraged others to do the same thing. It's what inspired her to create homemade blends from what she learned as a STEM student. Her brand, Curlanista, definitely promotes healthy, curly hair and self-love. "I wanted to build this brand to help other girls going through what I went through. I want them to not only love who they are but know that what other people say doesn't matter," Lexi told Hello Beautiful. Her ideas are what made her win the Sally Beauty Cultivate "For Women by Women" accelerator program. Curlanista will receive $25,000 in financial support, product distribution at SallyBeauty.com, select local store distribution in Maryland and Virginia, mentorship from the Sally Beauty management team and fellow female brand entrepreneurs, among others. Moreover, Lexi looks up to successful Black women such as Beyonce and Oprah, but she said it's her mother Monica Proctor, who is also the brand's co-founder, that really pushed her to dream big. "My mom is literally my biggest cheerleader. I thank her because she has given me so many opportunities to try out different interests and experience new things," she said. "I have so much confidence because of her. When times get hard she pushes me to not give up and even offers to help me when she can. As a young entrepreneur, Lexi is continuously learning. She is being hands-on with the business while at the same time prioritizing her studies. She said, "If I have a homework assignment or project due I make sure I get that done first because education is my priority. Then I work on my business each day even if its a 15 minute post I write to make sure I engage with my followers." Lexi encourages other young entrepreneurs to show hard work, consistency, and dedication to be taken seriously in the adult-dominated business world. She added, "You will be amazed at what you can do if you don’t give up."